Black Pine Tar is a high quality Pine Tar reinforced with black pigment in order to achieve a better durability against UV irradiation, mainly on surfaces strongly affected by the sun. Pine Tar has a documented good penetration of planed wood and it allows the wood to breathe. The dilution with gum turpentine provides a swift penetration and a less sticky and matte finish. 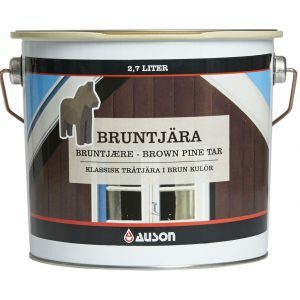 Black Pine Tar is a pure natural product for surface treatment of wooden buildings and other outdoor wooden constructions. Simply where you wish to combine an effective protection with a modern and classic color. For purchases please call 800-997-6536. 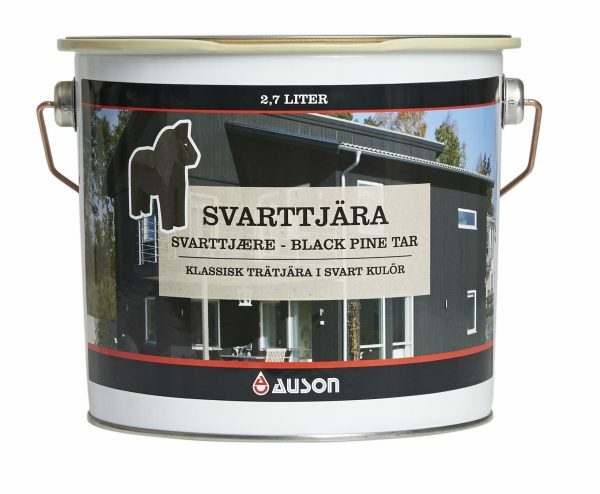 Black Pine Tar is a high-quality Pine Tar reinforced with black pigment in order to achieve a better durability against UV irradiation, mainly on surfaces strongly affected by the sun. 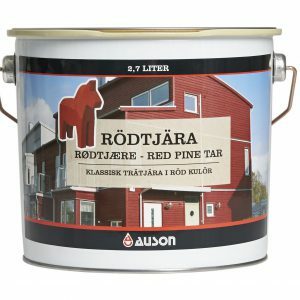 Pine Tar has a documented good penetration of planed wood and it allows the wood to breathe. The dilution with gum turpentine provides a swift penetration and a less sticky and matte finish. 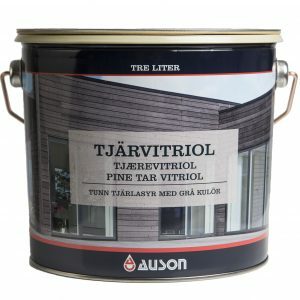 Black Pine Tar is a pure natural product for the surface treatment of wooden buildings and other outdoor wooden constructions. Simply where you wish to combine an effective protection with a modern and classic color.